In a world where we are constantly bombarded by supplement commercials, you might be wondering, "What vitamins does my body need?" In some cases, this may depend upon your age, your unique biological makeup or your level of activity. For example, women of childbearing age will need folic acid. Women of menopausal age require vitamin D. This may help prevent osteoporosis. However, there are some vitamins that are important for everyone. Vitamins are the essential chemicals that play a crucial role in all of the body's major processes. They do this by playing a major role in the reactions which occur within your cells. With the exception of vitamin D, the body cannot make its own vitamins. Additionally, since no one food can supply all the vitamins you need, sometime supplementation is necessary. What Vitamins Does My Body Need? Vitamin E: The term vitamin E is used in reference to a variety of substances that exhibit biological activity of an isomer known as tocopherol. For example, fat soluble alpha-tocopherol has the most potent effect on the general health of the body. This isomer is responsible for preventing the fats in low-density lipoproteins from oxidation. As such, it protects us from heart disease. Vitamin E can be found in fish and nuts. Vitamin C: Vitamin C is a water soluble vitamin. It is also known as ascorbic acid. It works in conjunction with vitamin E to heal wounds, prevent periodontal disease, maintain collagen and connective tissue, and absorb iron. Vitamin C is found in citrus fruits. According to Web MD, vitamin C also boosts levels of a brain chemical known as norepinephrine, which is a neurotransmitter responsible for boosting alertness and increasing concentration. Since studies show that ascorbic acid levels decrease with age and under stress, vitamin C may help you stay young and calm. 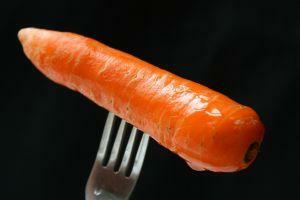 Beta Carotene: Beta carotene can prevent night blindness and other eye problems. It is also effective in the healing of skin disorders. Studies have shown that beta carotene can enhance immunity. As such, it may effectively protect us from colds, toxins and cancer. Beta carotene can be found in foods that contain high doses of vitamin A, such as apricots and green leafy vegetables. Carrots, pumpkin and cantaloupe can also be converted into vitamin A. These B vitamins are crucial to brain functionality, red blood cell formation, and building DNA. For pregnant women, B vitamin folic acid can lower the risk of neural tube defects such as spina bifida. Unhealthy eating habits, excessive alcohol use, cigarette smoking, and oral contraceptives have been known to cause low levels of folic acid. Sources of vitamin B6 include avocado, banana, beans, cereal, meats, oatmeal, poultry and seeds. Vitamin B12 can be found in cheese, eggs, fish, meat, milk, and yogurt. Folate is found in vegetables such as spinach and greens, asparagus, citrus fruits, cantaloupes and other melons, strawberries, fortified grains, legumes, beans -- especially chickpeas, black beans, kidney beans, and lima beans. Vitamin D is a fat-soluble vitamin, which helps keeps bones strong and prevents osteoporosis. Sources include fortified milk and fish. The sunlight is also a good source of vitamin D. The USDA suggests that people who do not get adequate sunlight either take vitamin D supplements or eat vitamin D enriched foods.Remember, while taking vitamin supplements can be helpful, try to get most of your nutrients through healthy eating.